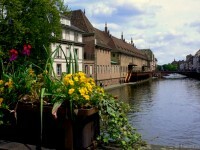 Never has river cruising been so popular and in Europe we are spoilt for choice of scenic rivers full of history with picturesque towns and great cities along their length. King though, must be the majestic Rhine flowing from the Swiss alps to the empty into the North Sea through the deltas of the Netherlands. Cruising the Rhine early in the last century poets, artists and musicians found themselves enthralled by the romance of the landscape with its castle studded banks. The river’s charm endures: in 2002 the Middle Rhine Valley, flanked by vineyards and steeped in legend was designated as a UNESCO World Heritage Site. Heather Cowper and her husband have joined Lueftner Cruise’ship Amadeus Princess in Basel for a Rhine Cruise. It’s Heather’s first cruise, follow her day by day post for the highlights and a taste of the cruising life. We’ve put Heather Cowper’s Rhine Cruise on the map, click on the white dots to discover the sort of itinerary you might expect cruising this legendary European river. You can read her full diary, day by day below. 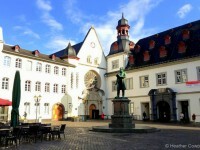 Day 6 – The Amadeus Princess arrives in Cologne. 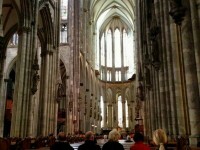 It’s the end of her Lueftner cruise for Heather and her husband (the ship goes on to Amsterdam) but before flying home there’s time to visit Cologne Cathedral and the Chocolate Museum. 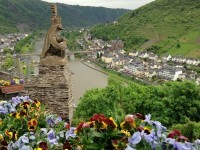 Day 5 -The Amadeus Princess takes a detour along the Mosel River to Cochem where Heather visits the picturesque Reichsburg Castle, learns about local wines and takes a bike ride beside the river. 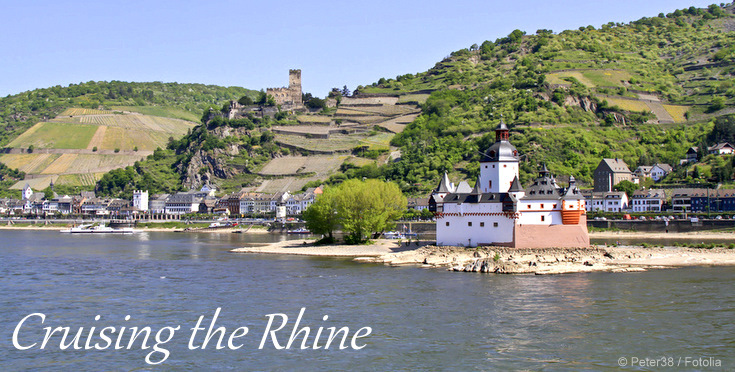 Day 4 – Today after a visit to the charming town of Rüdesheim Heather Cowper cruises through the romantic Middle Rhine Valley past castles and vineyards to Koblenz on Lueftner Cruise ship Amadeus Princess. Day 3 – Heather Cowper wakes in Speyer where she visits the Romanesque Cathedral & Lutheran Church and takes a trip to the university town of Heidleberg. 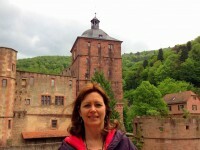 On Day 2 of her Rhine Cruise with Lueftner Cruises Heather Cowper visits Strasbourg on the border of France and Germany and goes wine tasting on the Alsace Wine Route.